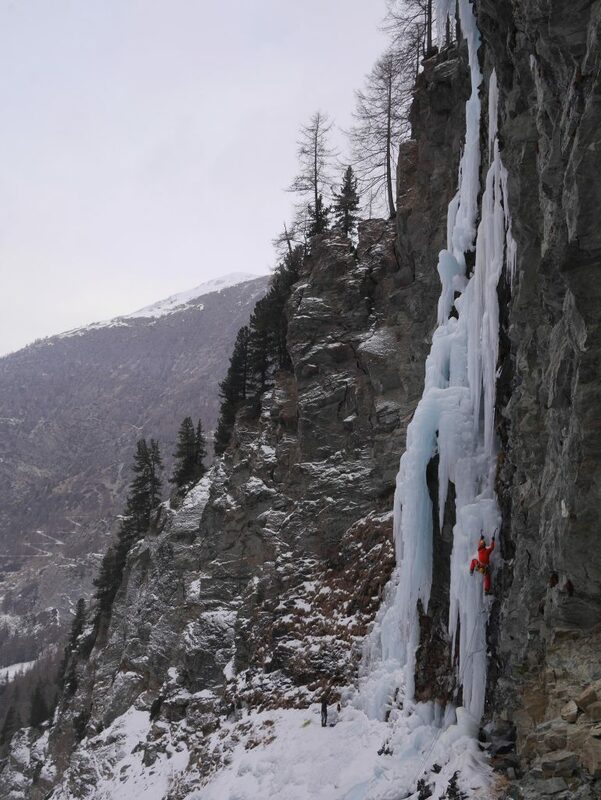 Ice climbing conditions in the Alps looked very promising in January. I deciced to hit the Cham once again. 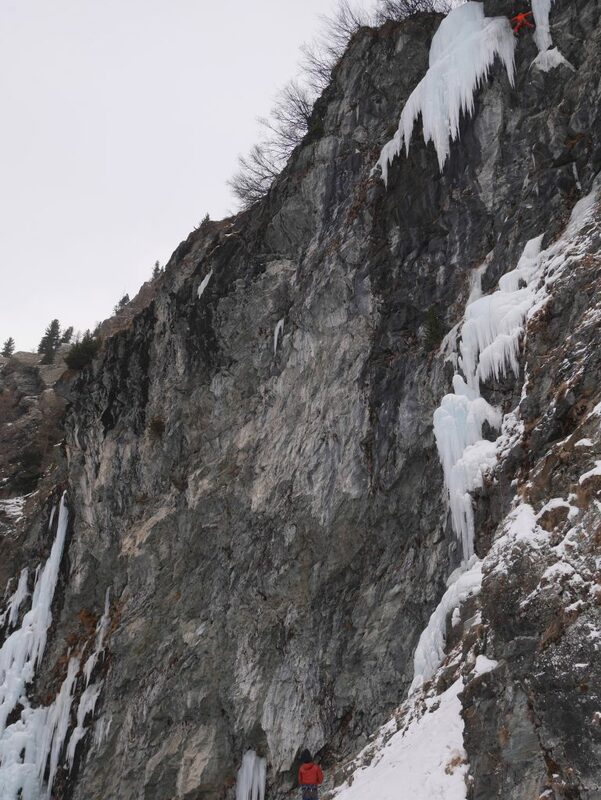 On a first day of the trip we headed to the Rive Droite, which is normally quite hazardous place to climb due to avalanche danger. Skiing the exposed slope to the rappel point wasn’t probably the best place to start learning how to ski. Two overhanging rappels led to the gorge and under of our climb. 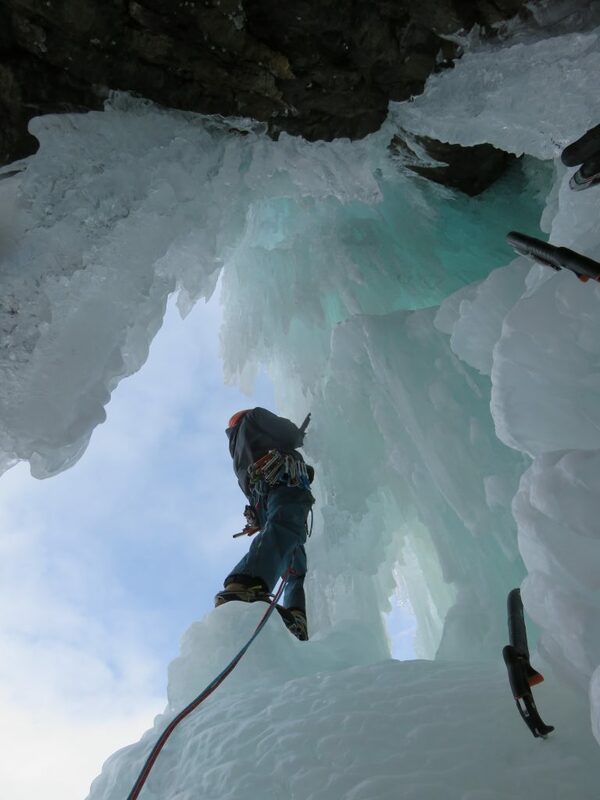 Aquabatic (WI5) offered three pitches of slushy, steep ice. You could pick screws out while seconding. Again, way too many teams on the route but you can’t complain. Another team cruising the final pitch. 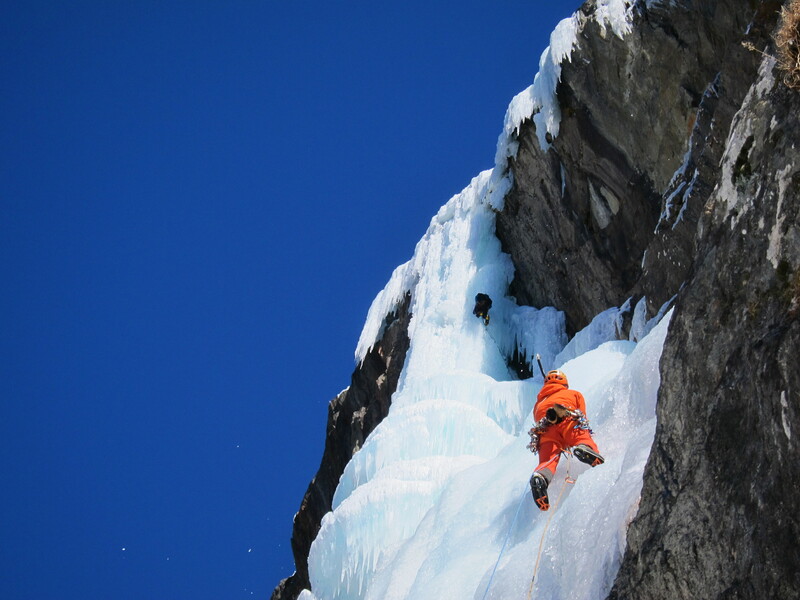 The next day saw us skiing back to Rive Droite to climb the legendary Shiva Lingam (WI6). 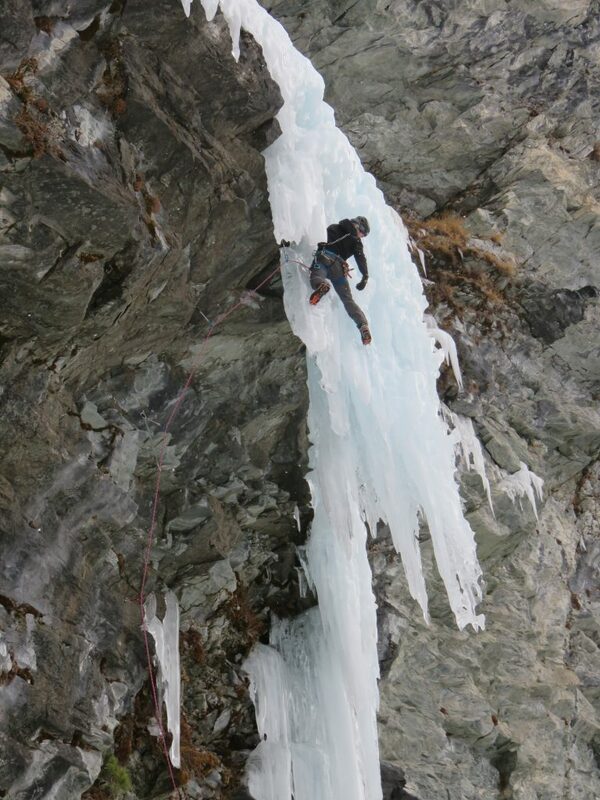 Two easy approach pitches led to the vertical 30 meter pillar. We had to wait almost two hours for our turn under a medusa. Finally Samppa dispatched the melting beauty in a evening light. 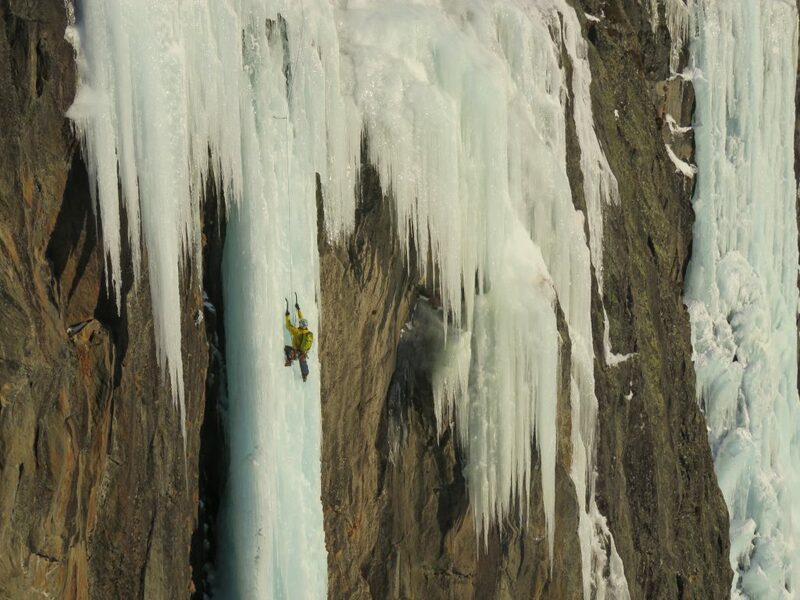 Massive respect to Thierry Renault whom climbed this route 30 years ago. One of the first grade 6 icefalls anywhere. Shiva Lingam! Ville seconding the pillar. The next one on the list was Repentance Super (WI5+/6) in Gogne. Sami had climbed it few weeks earlier, but kindly suggested another round. A mega classic lived up it’s repetations. 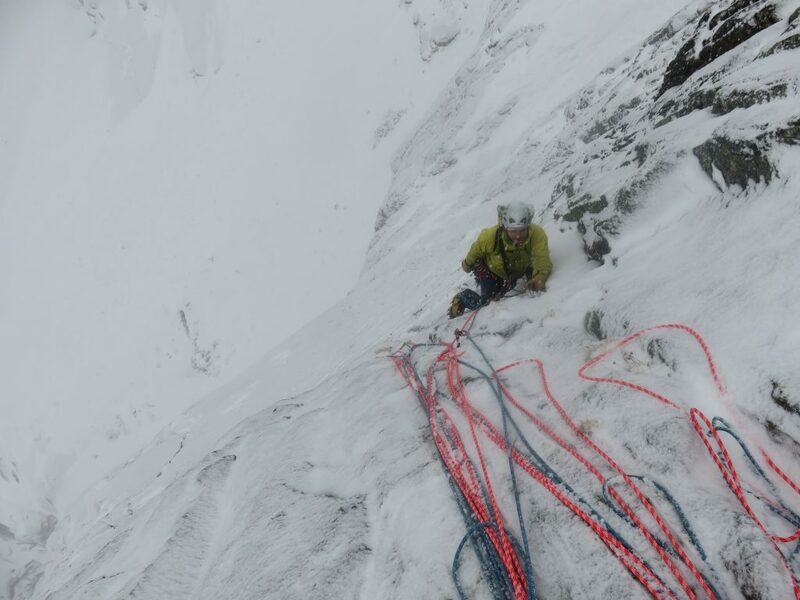 Three steep pitches of cauliflowers, hooking and very wet ice. Not so hard, but fun to climb though. We topped out to the summit platteu, had a brief lunch break and rappelled down. Italian ice at it’s best! Sami leading on the Repentance Super. 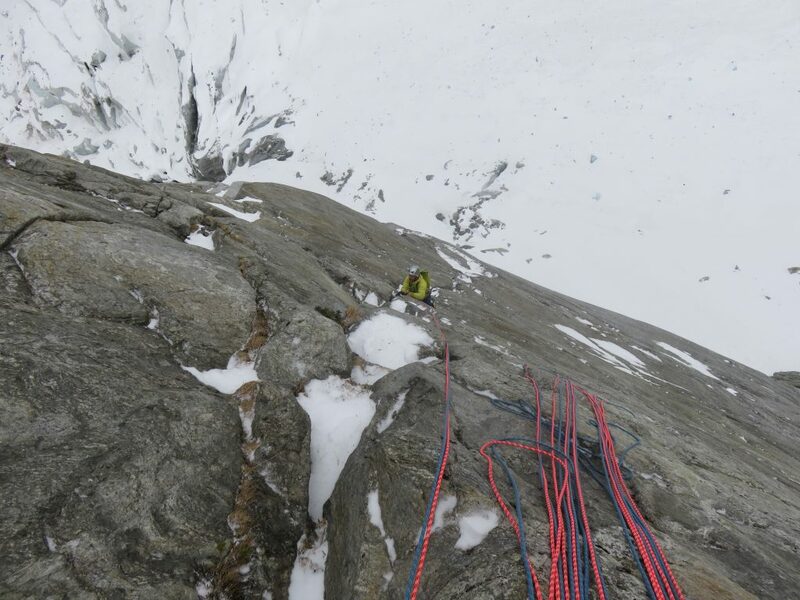 Samppa and Ville wanted to climb Lau Bij direct (WI5+) so we headed to Lillaz the following day. We spent the day cragging on that sector. 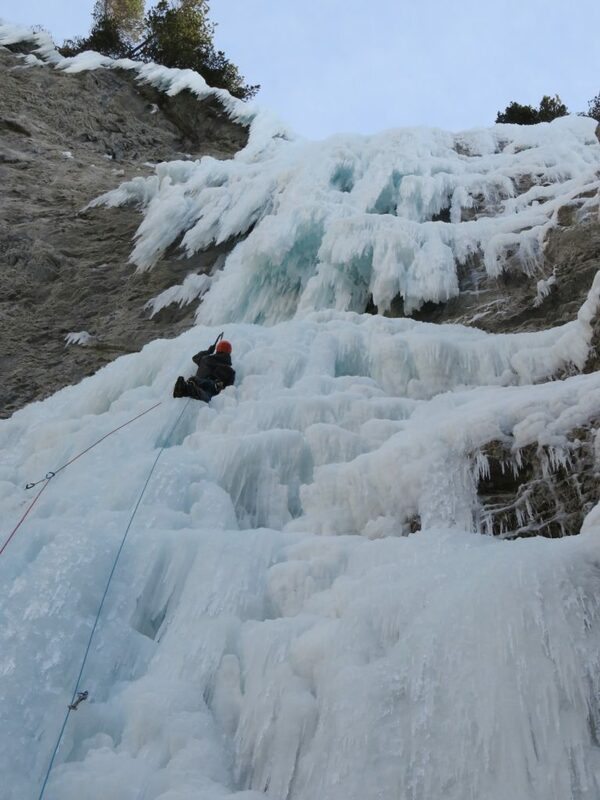 Ice direct, Medusa-Edelweiss hybrid and Direct dry were all climbed. Juho climbing the Lau Bij direct. @Ville Ojansivu. 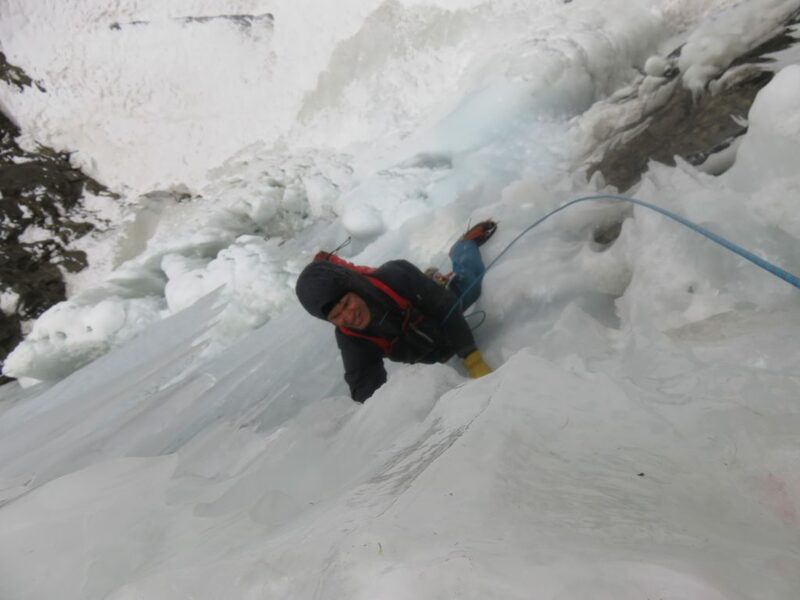 Juho balancing his way up on the Medusa-Edelweiss hybrid (link up of the ice). @Ville Ojansivu. Samppa crushing the Direct dry (M7). 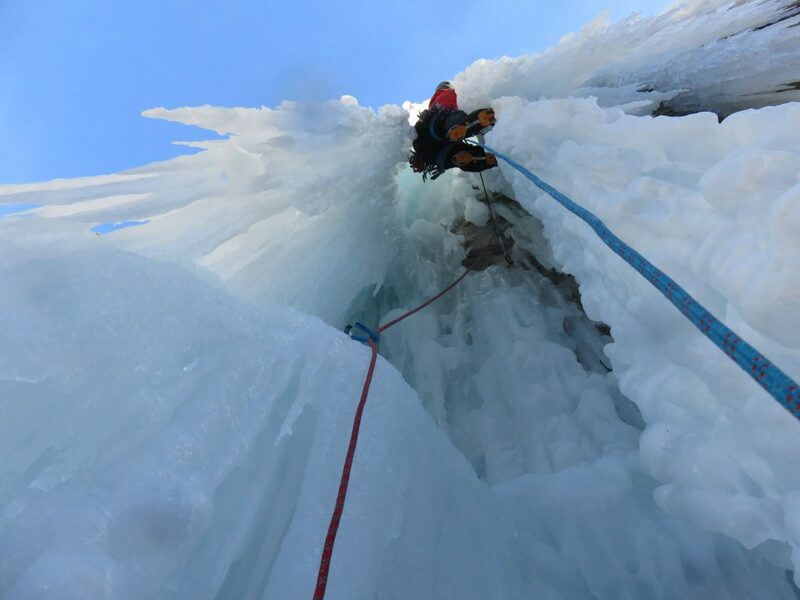 In Valsaveranche we ticked the Trip in the Night (WI5+) via left-hand variation which included few meters of overhanging ice. 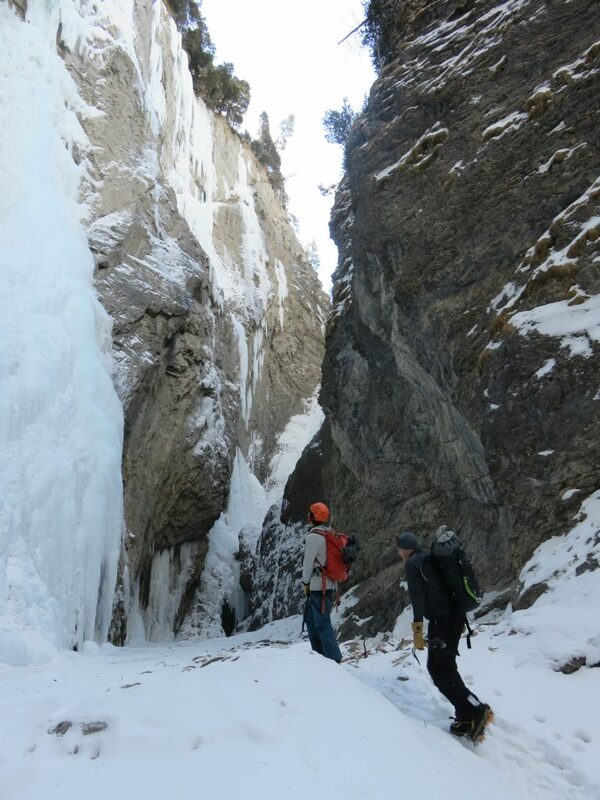 Mythical grade 6 icefall in the Bramans gorge had been climbed several times this winter and now temperature was rising quickly, so our time frame to climb it was closing. Early start on Sunday morning brought us to the Haute Maurienne which looked very diffirent compared to the MB massif. Nice to see new parts of the Alps time to time. Glacenost on the left. Spectacular lines everywhere! The narrow gorge is a spectacular place to be. Wild river running through and vertical 150m walls rising above . We climbed the route in three pitches. Especially the last one will stay in memories for a long time. 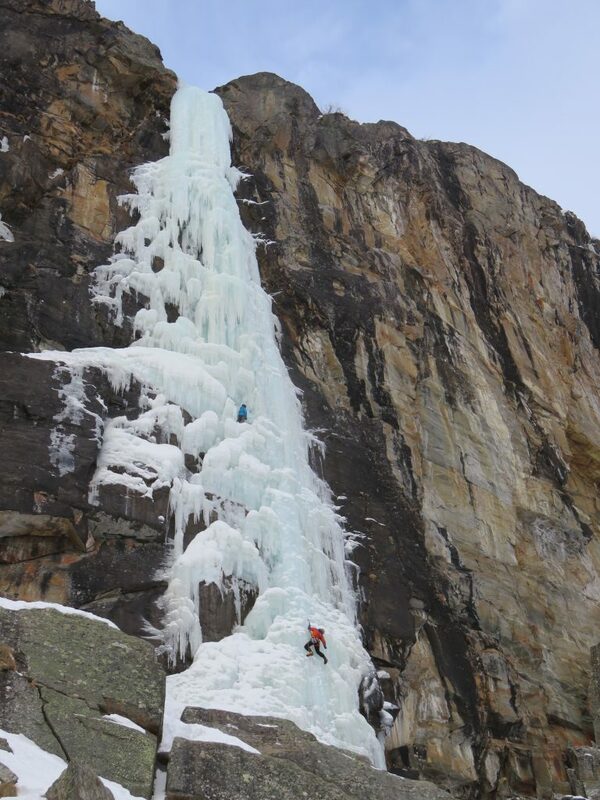 Our plan was to rappel the last pitch to the bolted stand and climb the route on the right (Cadeau Surpise, WI6/+), but the sunshine melted the ice too fast. We escaped the gorge quickly. Even though I didn’t have a chance to lead I feel this was one of the best days on ice ever. Steep and wild sorbet! One of those places I’ll come back for sure! Sami heading to the sea of medusas. 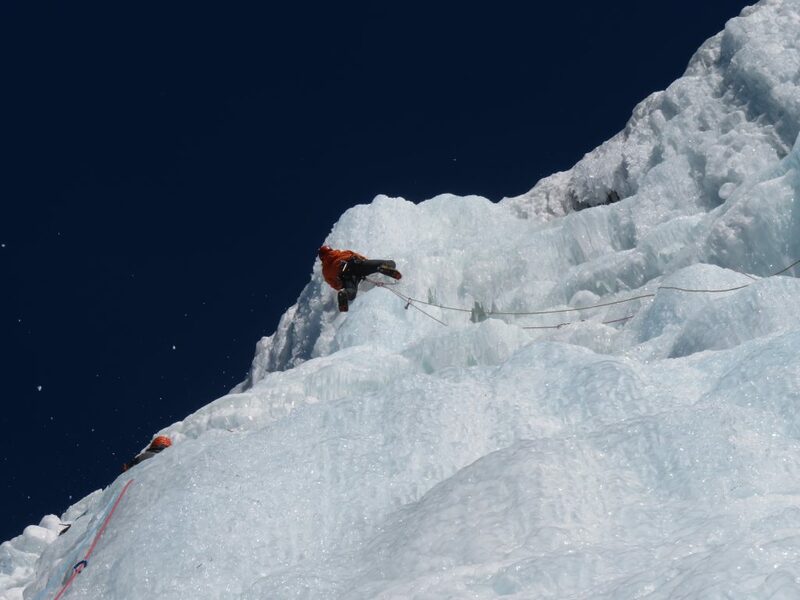 Tatu climbing wild formations of Glacenost. 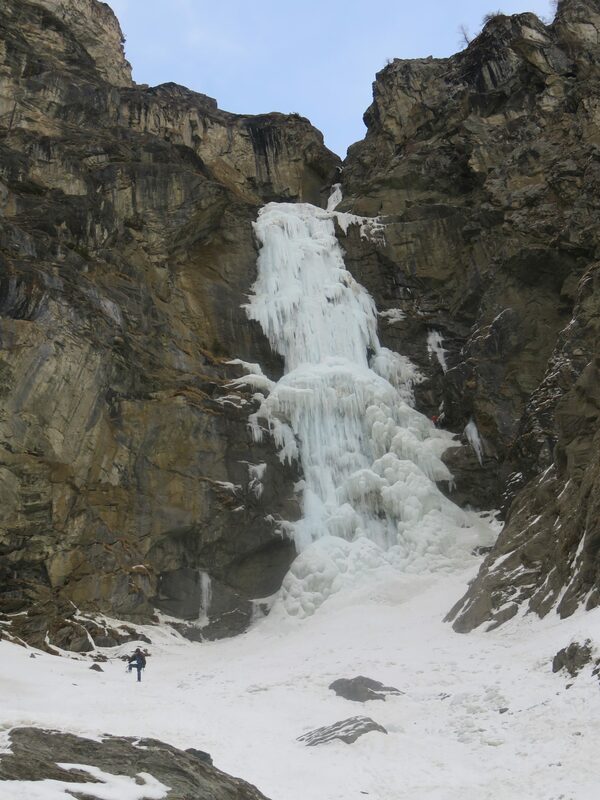 Rive Gauche could be the best place for climbers when there’s a bad weather. Mixed and dry tooling lines following each other. We aimed for the Bringing home the Bacon (M6+) as it should be one best in the area. 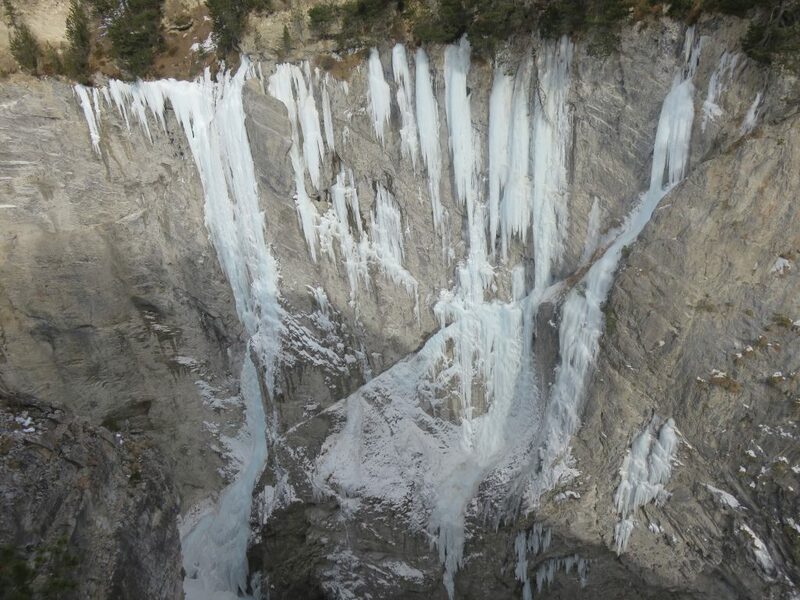 Two funky rappels brought us to a big snowy ledge. We climbed the easiest line to the start of of the first proper pitch. I led the whole day as Ville was learning how to use axes on rock. Bulgy second pitch went around M5+ and the traversing third one around M6+. Nothing complicated but un-frozen turf and fresh snow didn’t help climbing too much. Three star pitches back to back make you smile. A fun day out! Hard to get pumped on a slab. Fun climbing on a third pitch.